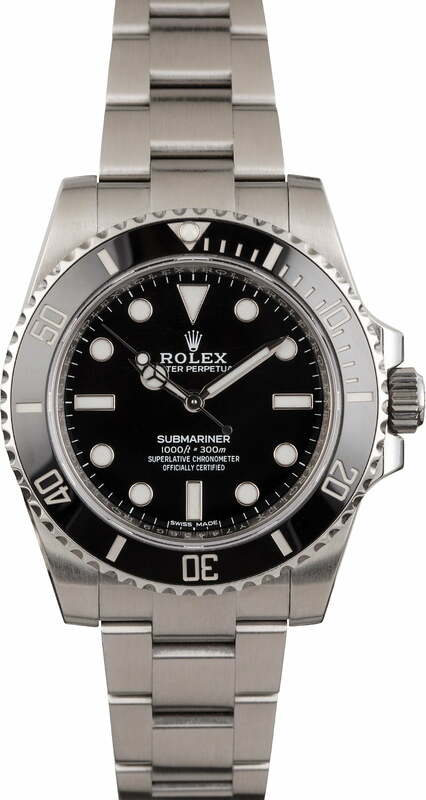 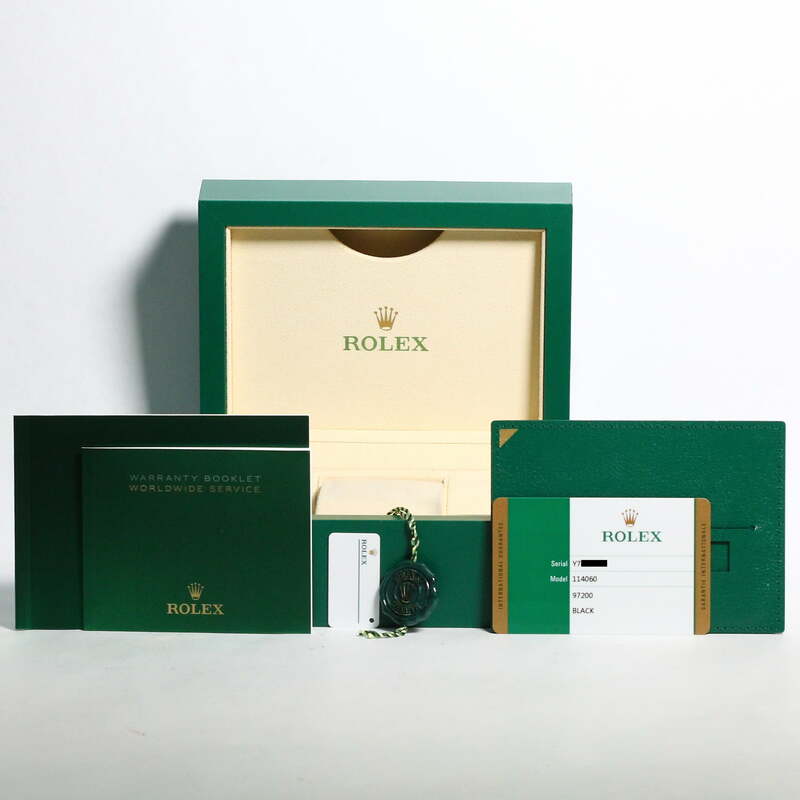 Rolex rereleased their No Date Submariner via ref. 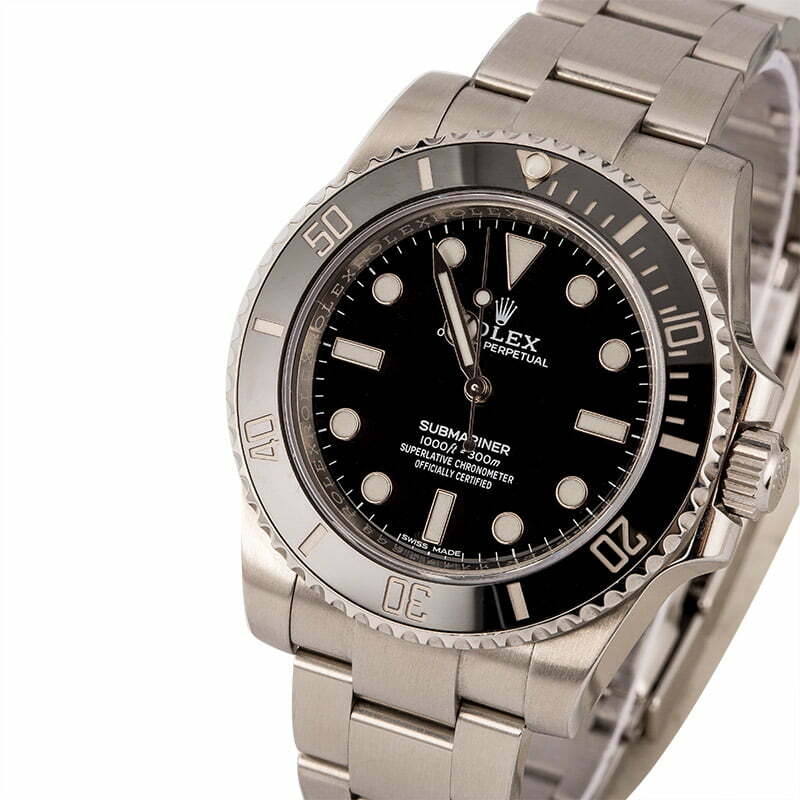 114060 in 2012, introducing this particular variation of the brand's iconic diver to several modern elements. 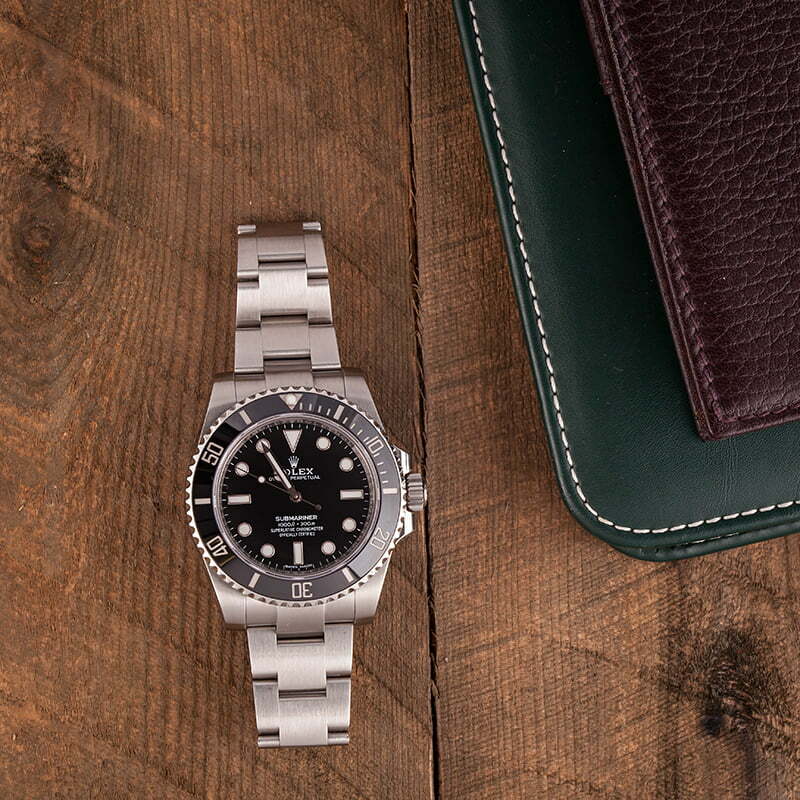 The case received broader lugs and a larger crown guard, giving it the appearance of a larger watch than its 40mm case measurement would suggest. Rolex also equipped with ref. 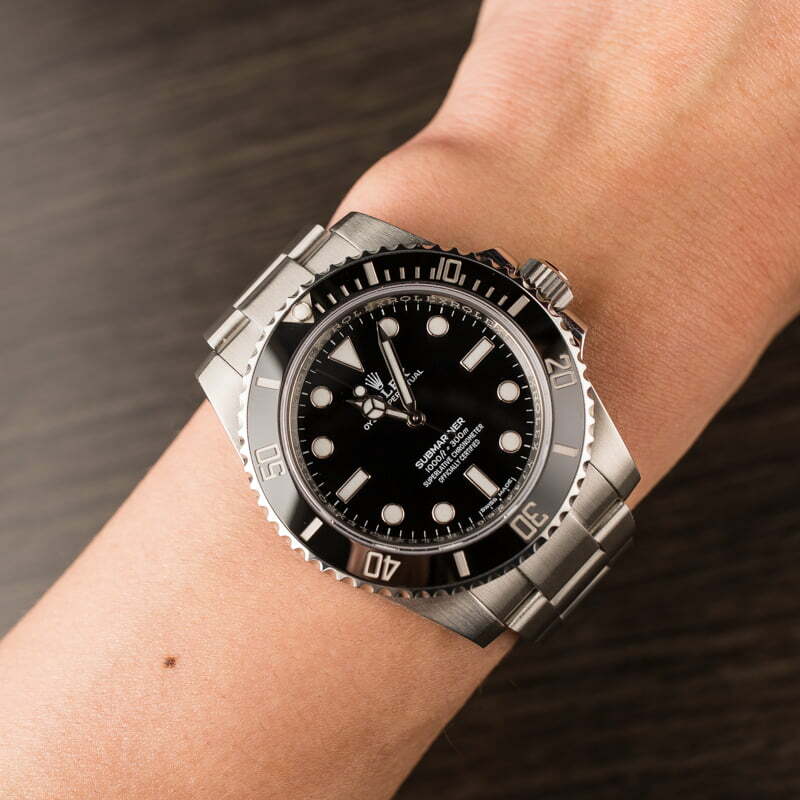 114060 with a maxi dial, which displays the time via larger hour markers and broader hands filled with highly visible luminous material. 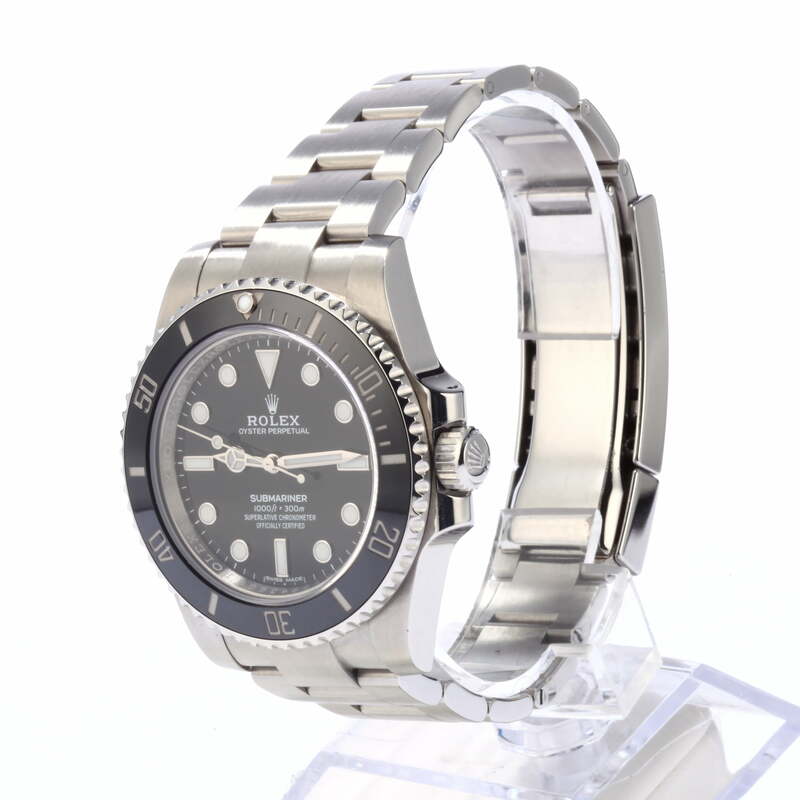 The most exciting upgrade to the Dateless Submariner, however, was the addition of a Cerachrom bezel, which is Rolex's patented term for the tough ceramic material insert that many newer secondhand Rolex's now feature. 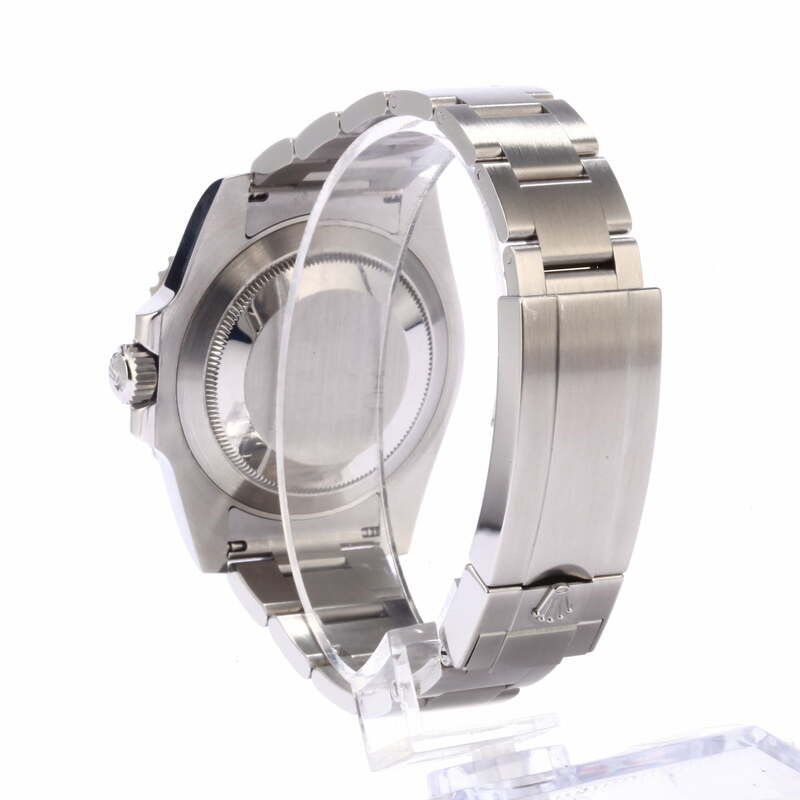 Cerachrom is highly resilient and won't fade or corrode, even after years of exposure to sun and salt water.